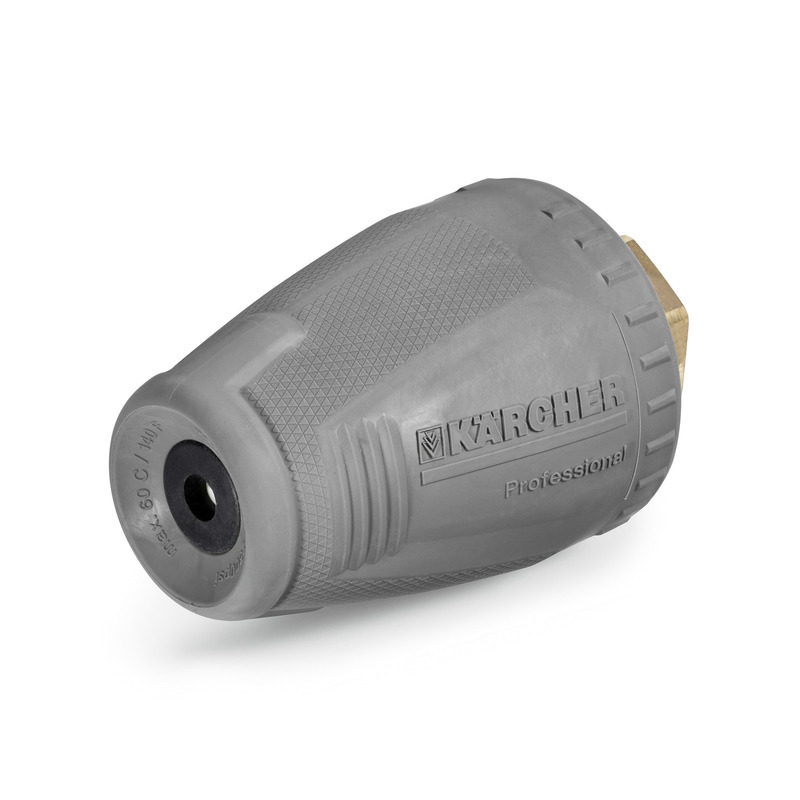 Dirt blaster, small 030 41140180 https://www.kaercher.com/ae/accessory/dirt-blaster-small-030-41140180.html Less power loss, higher spray quality: the new performance dirt blaster with nozzle size 030 achieves up to 50% higher cleaning and area performance than its predecessor. Less power loss, higher spray quality: the new performance dirt blaster with nozzle size 030 achieves up to 50% higher cleaning and area performance than its predecessor. The new performance dirt blaster (nozzle size 030) offers concentrated cleaning power. Internal power losses have been minimised and the spray quality significantly improved – for up to 50 per cent higher cleaning and area performance than its predecessor. And thanks to the rotating point jet, it achieves 10 times the cleaning performance compared to conventional high-pressure nozzles. With ceramic nozzle and bearing ring for maximum working time. For use with max. 180 bar/18 MPa and 60°C water temperature. Improved cleaning power for removing stubborn dirt. High cleaning power as well as high area performance.